There wasn't really a section in the forum for network bandwidth benchmarking, so I had to just put it here instead. You can see the results from my benchmarking my new 100 Gbps 4x EDR IB network. Please note that the results are in gigabits per second, which corresponds to a peak of around 12 gigaBYTES per second NETWORK transfer. What were you testing to/from for this, and for what purpose? Work, or something for home...? Dual CCIE (Route\Switch and Security) at your disposal. Have a Cisco-related or other network question? My PM box is always open. What was the cpu config ? 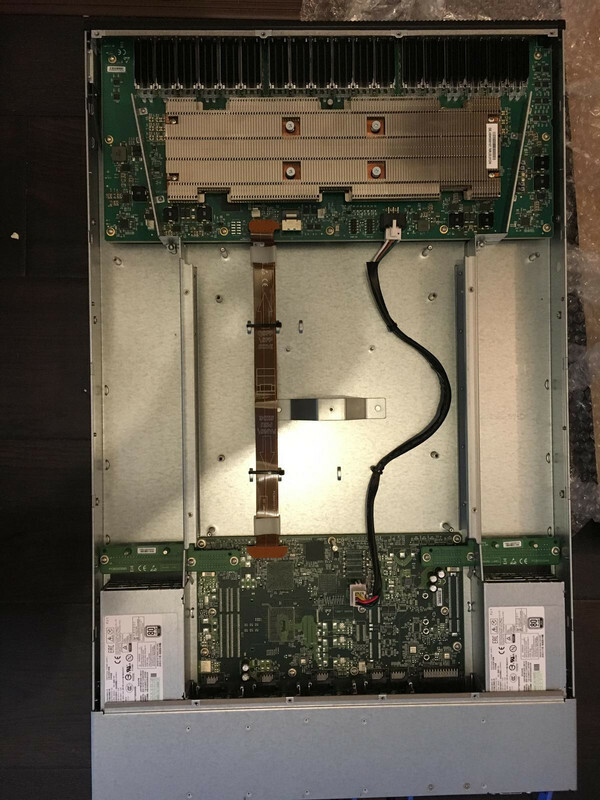 This is two nodes, directly connected via 4x Enhanced Data Rate (EDR) Infiniband (IB) network interface cards (Mellanox ConnectX-4 dual port cards). The system has a dedicated 10/100 RJ45 LAN port for IPMI, and then two RJ45 Gigabit ethernet ports as well as VGA, USB, PS/2, etc. Two of the nodes run SuSE Linux Enterprise Server 12 SP1, and two of the nodes are now running Windows Server 2016 (because of the Mellanox driver requirement). I perform computer aided engineering (CAE) work at home (I have my own small corporation) where I perform finite element analysis (FEA) and computational fluid dynamics (CFD) runs. It is for work that I do from home, but I've always wanted to get into this type of hardware, so through my corporation, I am able to do so. This is what it looks like trying to copy a 40 GiB file using the interface. I didn't have NFSoRDMA or SMB Direct set up. With file transfers, I haven't found a good way of testing it or maximizing the transfer speeds, again, because I don't have NFSoRDMA or SMB Direct configured. (I'm not entirely sure that I will actually complete that setup/configuration because even at 1/10th the speed, the rest of the hardware can't keep up anyways, so it doesn't really matter that much. Dual Intel Xeon E5-2690 (v1). This is a node-to-node direct transfer. I'm currently running switchless right now. When my corporation earns a little bit more money, then I will go ahead and start looking at getting a switch, but for now, this is good. 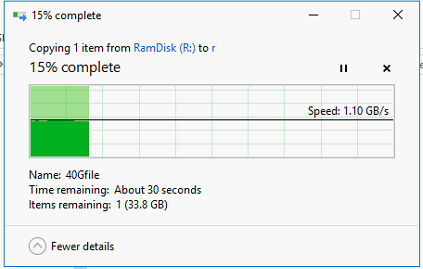 Most "normal" people run Gigabit ethernet at home. Most. Some might be venturing into 10GbE for home use. This is putting me at 100 Gbps (~12.5 GB/s), in my basement, at home. 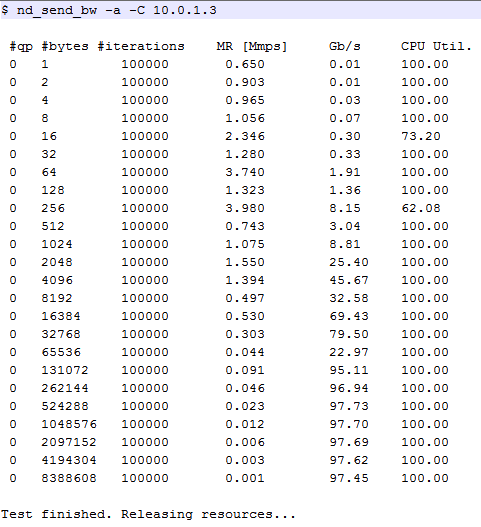 The rest of my backend storage infrastructure can't keep up with this. And I also went with this because I was using my gigabit ethernet as my node-to-node system interconnect for my work, and it was proving to be too slow (mostly because of latency, not actual line bandwidth, with only a few exceptions), and there was a Youtube video that I watched from Linus Tech Tips where they basically did the same thing, except that they didn't really seem to know what to do with it or how, etc. (this is something that's used a lot with supercomputers and high performance computing (HPC) clusters, which is very much a niche market. So if you're not used to doing this kind of work on a regular basis, then knowing about the supporting hardware infrastructure that supports this kind of work is generally unlikely.) But anyways, they were able to clue me in on the fact that you can pick up the network interface cards now from eBay for < $300 a piece (which considering the retail price is like $700, that's a bargain! ), so that's what I did. To link my two pairs of nodes together (in a 2+2 configuration), with cables, it cost me about $1100, which again, isn't so bad. The next big expense will be the 36-port switch, which is about $5000. But that will allow me to link the nodes all together (rather than strictly in a 2+2 configuration) so that all four nodes can "see" each other so that if I need to throw everything I've got at a much bigger problem, I will be able to do so. So now, all four nodes are able to talk to each other. So now, all four of my compute nodes can talk to each other and they're no longer bound/restricted to a 2+2 configuration, so any one node can talk to any other node directly, which is super exciting for me. And perhaps interestingly enough, the most expensive element for the update was actually the switch. 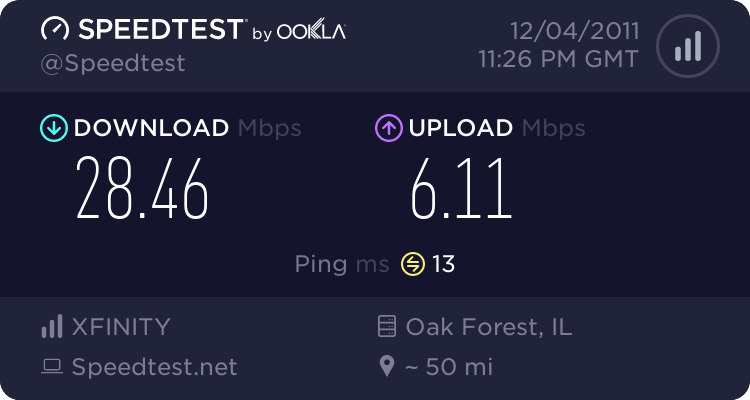 The cards and the cables themselves weren't all that terribly expensive, consider that you can pay less, but also get SIGNIFICANTLY slower speeds as well. What's also interesting is that the rest of my home network is only wired gigabit ethernet (total combined 32 Gbps) which means that I can fit all of that in a single port or in a breakout cable that supports up to two 50 Gbps connections. And each port is capable of delivering between 96-97% of the theorectical/designed capacity, which is still RIDICULOUSLY fast.